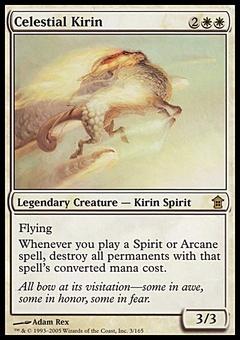 Knight of Autumn ($2.96) Price History from major stores - Guilds of Ravnica - MTGPrice.com Values for Ebay, Amazon and hobby stores! 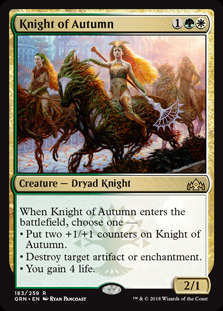 Card Text: When Knight of Autumn enters the battlefield, choose one — • Put two +1/+1 counters on Knight of Autumn. • Destroy target artifact or enchantment. • You gain 4 life.